We’re very excited to share the details of our latest campaign for luxury bath, body and beauty specialists Molton Brown. Following the success of our experiential launch campaign for their Vetiver & Grapefruit range earlier in the year, the Molton Brown team approached us once again. They tasked us with creating a digital activation that raises awareness of their Christmas range in an engaging way. The activity also needed to promote their special edition festive fragrance, Muddled Plum. 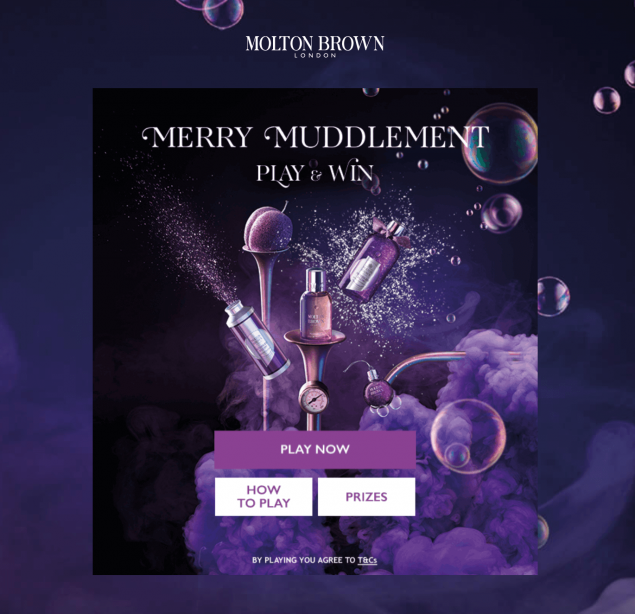 So we’ve created Merry Muddlement, a fun, frantic and festive game that offers Molton Brown fans the chance to win products from across the range. Players must fight through a sea of foamy bubbles to pop the ones with gift boxes and plums in. Those that reach the target score of 1500 points can enter their details to find out if they’ve won one of 200 daily prizes. A grand prize worth £500 is also on offer to one lucky winner. Merry Muddlement can be found on Molton Brown’s Christmas microsite. As well as the game, the site features a host of other content such as a gift-finding tool, product information and a stunning series of glitter-filled videos. 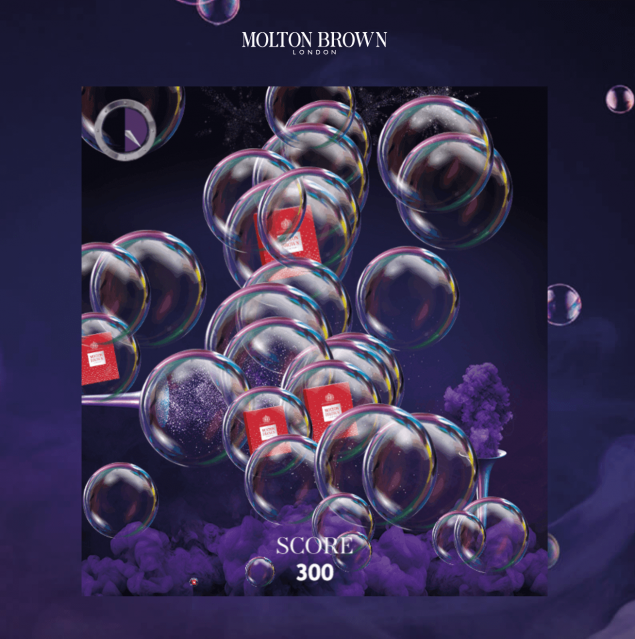 An interesting side-note is that Molton Brown is the latest in a stream of luxury brands turning to gaming to attract engagement with younger audiences. Chanel and Jo Malone have invested in game-based campaigns lately, with both tapping into the nostalgia of arcade-style gaming to reach new fans. Could this be a rising trend for the luxury sector in 2019? We’ll certainly be watching on to find out.